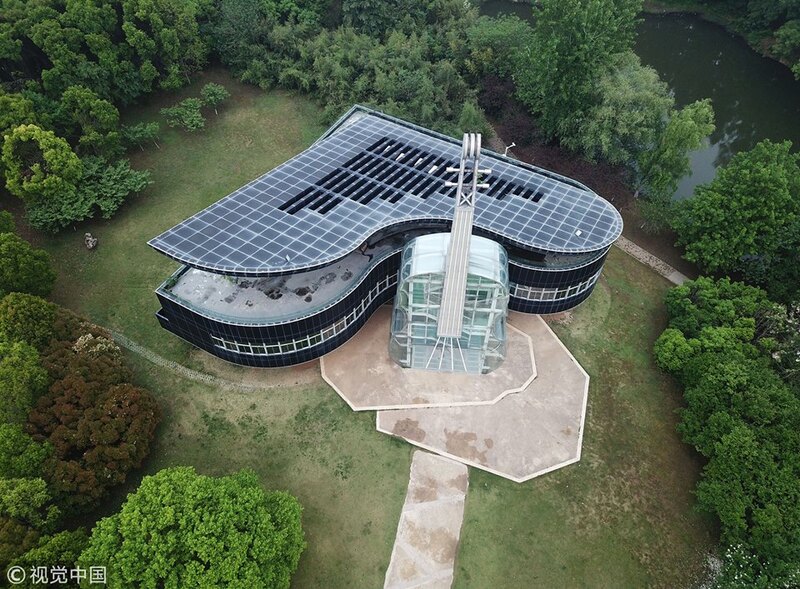 The Piano House in Huainan City, east China’s Anhui Province, is perhaps one of the most romantic buildings in China, and if you are a fan of both music and architecture, this might just become your favorite design in the world. 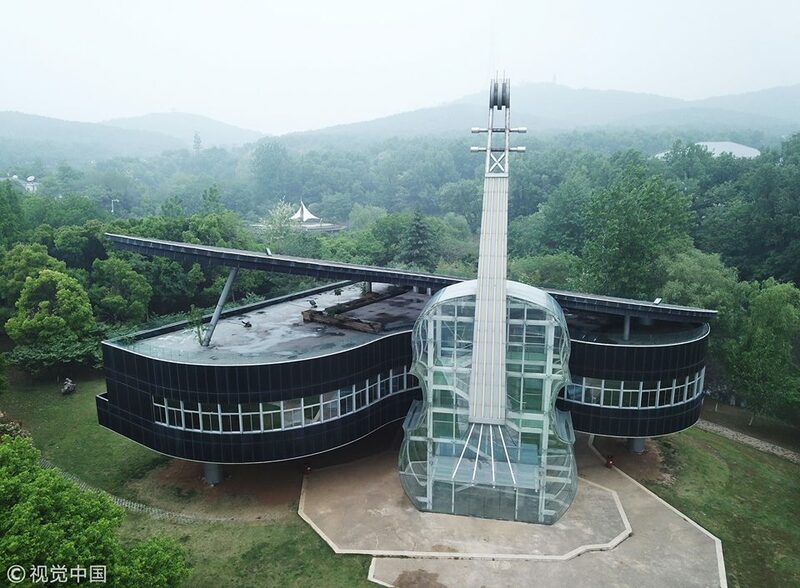 Standing on three concrete legs, the Piano House is shaped just like a real grand piano. 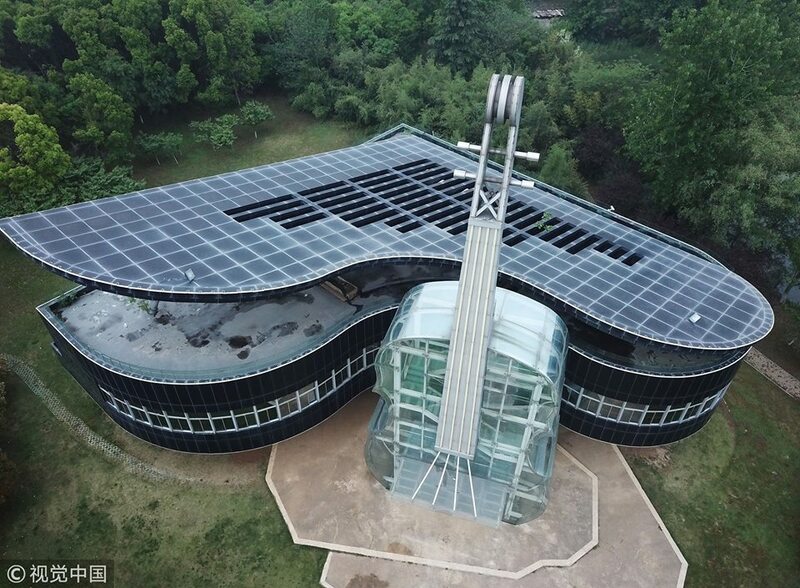 Leaning against the Piano House is a Violin House that is entirely transparent. 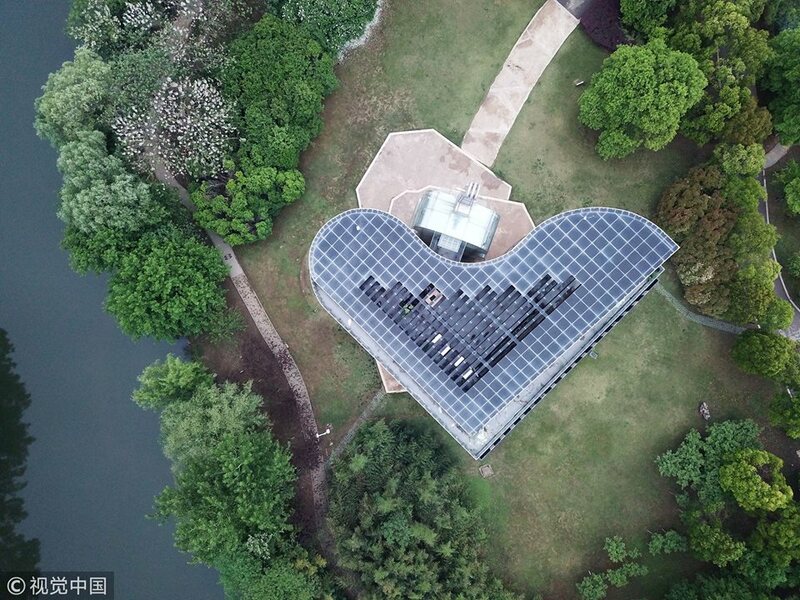 Visitors can enter through the glass violin’s atrium, before traveling up a series of escalators into the bowels of the piano, and onto a roof terrace, shaded by the propped-open lid. The bottom portion of the piano is comprised of two different concert halls and it also serves as a performance area for music students from local colleges.